Sorry, this list has expired but see my current Sweeps 4 Mom list and good luck! See updated Sweeps 4 Mom list here. This list has expired. Play these sweepstakes daily for a great chance at winning a prize! Not liking this new comment software. Doesn’t put the comments in event order. Can this be changed Heather? Do you see a pull-down menu at the top right of the comment sections? I just clicked on “Sort by newest first”, seems like that order makes the most sense, but my old commenting order was “oldest first”. Thanks, updating my list now! The Dollar General sweep ended yesterday. I just won a $50 mastercard gift card from Dentyne. Yay! Thanks for letting us know about these! Woo hoo! I love to hear about your wins! I won free milk for a year and olive garden gift card and salad dressing! Thank you Heather for this site. Nevaeh1101 – Free milk for a year, now that’s an awesome prize! my husband just won the olive garden gift card and salad dressing. this is the 1st time i have been able to convince him to do one of these sweeps. and he won. he was so excited! I have won also 3 bags of halls cough drops, and pack of gum from Dentyne. It is sooo encouraging to see winners on here! I have won 2 hall’s and 1 Toaster Strudel. Learning, as I am new to all this. So far, it’s been fun, fun, fun. Thanks so much Heather. You are a true Blessing to us all out here! I won on the Olive Garden Sweepstakes. The emailed me. I think a $10.00 gift card. yeah!!!! Congratulations, Rjvista1 – it’s so fun to win great prizes like this one! Just got an email that I won the olive garden sweepstakes!!! omg i just won the sheets on downey. i am on cloud nine. i still can’t believe i did it!! thanks, i don’t what happened to my name. it’s deanna and it showed deanna, but now it says deabba. wierd. interact. I appreciate your feedback! I won at Kroger T.G.I.F. frozen food!! has anyone won the playstation 3 move sweeps. ive been playing everyday and nothing. I would love to win this prize for my kids or the wii also! i just won 4 boxes of toaster strudel!! woo hoo!! I just won a $10 gift card and a bottle of dressing from olive garden! So exciting! I was having such a bad day too! when you’re playing the hunts game you have to play everyday to reveal a different ingredient on the recipe card. Once you get every ingredient then they send you a coupon for free hunt’s products. Hope this answers your questions! Does someone have a code? The “click here” doesn’t work. I just won a t-shirt from the dentyne game! Thanks! reassuring that I am not the only one not getting the last ingredient for the Hunts contest, if they didn’t want us to have a coupon why bother with the recipe card at all! Pwinche, you probably collect the final piece if you are an instant winner. In the rules the coupon seems to one of the instant win prize. Anyone else reading it the same way? I have been stuck on the last piece for Hunts for 4 days. I dont know what I have to do and there is nowhere to contact the company and ask…..HHMMMM… Will keep trying. I have been playing the “Tony’s Pizza 99 of More” sweeps for three weeks straight now. Today, I actually won! My prize is a Wii Bundle and I should receive it soon! Thank you so much for all you do. If it weren’t for your blog this would have never been possible! Thank you! That is SO cool, Lina!!! Congrats!!!! I have won 2 more bags of Halls in two days, and also received my Select 55 Visa Gift Card today for $55!! i can’t sign up for the kroger sweeps it keeps saying there isn’t any store within 50 miles but i have a fred meyers and a QFC just down the road from me. For the Hunt’s contest, maybe you get to collect the last ingredient only if you are an instant winner. I won movie tickets from coke. Thanks! same here. I never get the last ingredient. In the Hunts contest, has anyone collected all the ‘ingredients’ on the recipe card to get a coupon?? On my first 4 visits I collected 4 ingredients, and now on the last 5 visits it is “stuck” on the 4th ingredient and it never will give me the 5th ingredient, which will get me the coupon. Anyone else? Just won $1.29 Amazon music card from Dentyne. My son will be getting that one! So when do that Halls cough drop coupons start arriving? I’ve already received 3 coupons so you should get them soon. It’s a folded postcard that they mail. Won 12 Toaster Strudels on Million Morning Smiles and $100 gift card from Dollar General. 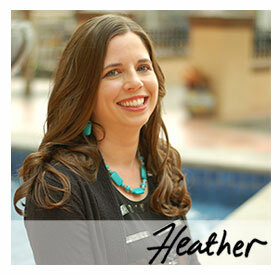 Thanks for the Sweeps, Heather. Received my Flip Video Camera from the Office Depot Christmas game!!! you to the winnable sweeps! Just won a 50$ gc from my coke rewards!! So excited thank you!! I finally won the pillsbury toaster trudels after about a month of trying. YAH!!!!! Does anyone have a Sunny D code? Her link to one seems to be disabled. For the Sunny D Sweeps after you click on “Enter to Win” you’ll get a form to fill out, scroll down to the bottom and look for tiny gray text that says “Need a code? Click here” for your code. Stephanie, The Red Baron sweeps seem to be a one entry only per person rather than a daily entry. I think, if I am reading the rules correctly. That may be why there is no sign in option. I can’t figure out how to do the Red Baron. When I go to the link it takes me to the registration but Im already registered and I cant find an option to sign in. Can anyone help? Red Baron- I just won a $50 visa gift card and was the first time I played it got to love that. Thank you! Won another bag of Hall’s. Yoohoo! Good time since all in this house are sick. I received my quicken loans stuffed animal right before Christmas. It was the cutest thing. I have been playing the Halls game for what seems like months. Not sure honestly how long now. Last night I hit win. I took a deep breath squealed I won and then in an instant realized it was only a bag of cough drops. Oh well it was exciting for a split second. I also played the State Farm game on FB and they had a glitch that said I won temporarily. I received an email from them saying they would honor it and Fri. I got a $25.00 visa gift card in the mail. Won a pizza last night and a Wendy’s 5.00 gift card and Cough Drops today! Just won 4 boxes of Strudels and a Tony’s pizza! select 55’s facebook page says they shipped out the cards 1st class mail on friday and that we should get them this week. Yes!! I have won the stuffed animal thing from Quicken and got an unexpected 25.00 card from State Farm in the mail the other day!!! WHOOT! I won 25.00 From ALL STATE!!!! 12 Boxes of pillbury, I also won 30.00 from OFFICE DEPOT!!!! Thank You!!!!! I think if you previously registered for the “WHY MILK” game last year then you might be already registered. Maybe like the last coke game when a few people thought their plays were messed up and then they actually received an e-mail that they won, this game would of also of told you if you had won. Try again as a registered player. I won an All-Occasion Tower of Treats from Harry & David!! WOO!! Thank you for posting these awesome sweeps. I’ve also won the toaster strudel twice! On the Milk Game, that happened to me too (said I had previously registered and then didn’t let me ‘submit’), but I got an email a few minutes later saying thanks for registering, and had a link to the coupon (this was a few days ago, I think they recently ran out though). And today it let me log in to play. Maybe we previously registered for milk.com for something else and didn’t realize it? That’s what I attributed it to anyway. Got my State Farm card today too! @Amber, the exact same thing happened to me on the milk giveaway. I have never done it beofre either when this happened. Strange! I put in all my info in for the milk for a year giveaway. It said I already had an account ( No I don’t) and then I put my email address into it and it says Sorry only one submission per day. This is messed up because I have never played that one, I call scam! WOOHOO! I just won 4 boxes of Toaster Strudel! on select 55 facebook page it says they will send the gift cards out after january 9th. Just won $15 Kohl’s gift card, my first time playing on Huggies (I played about 10 tries and won on the last one)!! 8 a.m. EST. Thanks for the links! Has anyone received their $25 gift card from All State Ins. or the $55 from the Select 55 game? Thanks! I win alot and play all times of the day or night. I just play whenever I have a few moments of extra time but I do try to play everyday. I think that helps. I am on EST. Thanks!! I won 4 boxes of Toaster Strudel. I usually play about 10pm AST, which is 1am CST, 2am EST. Maybe that’s why I win a lot? Just received a $25 Target gift card in the mail from the Facebook contest they were running before Christmas!!! What an unexpected awesome surprise!!!! Thank you for this site and the tips. They are very much appreciated. what time are you guys playing at…. i play all throughout the day and I have only won a bag of halls!!!! I just won on Pillsbury A Million Morning Smiles – 4 boxes Yay! Just won the 2nd place prize in the Coke Big Game…$50 Visa card! Thanks for the link!! !